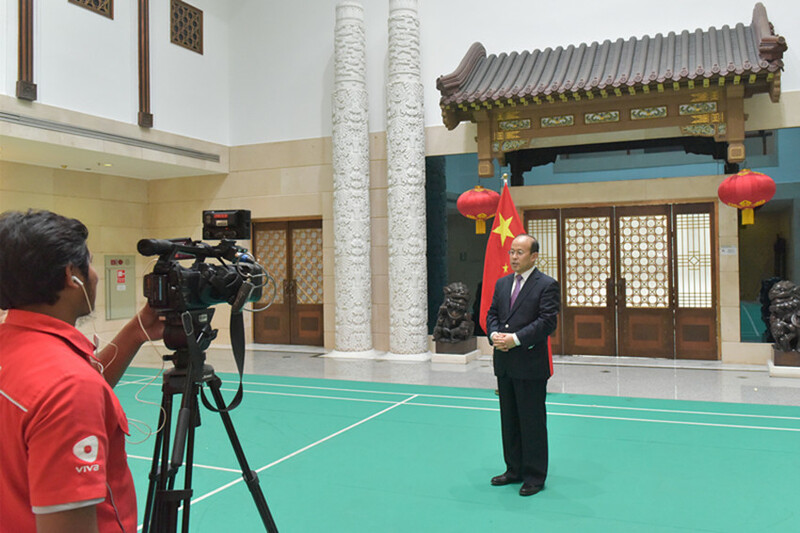 On 13th August, Ambassador Xiao Qian sent greetings to Indonesia’s 73rd Independence Day and the 18th Asian Games at the invitation of TV ONE. In the greetings to Indonesia’s Independence Day, Ambassador Xiao Qian said, this year marks the 73rd anniversary of the Independence of the Republic of Indonesia. We are glad to see that in recent years Indonesia has enjoyed political and social stability, continuous economic growth and constant improvement of people's livelihood. Indonesia now plays an increasingly important role in both regional and international arenas. Under the leadership of President Xi Jinping and President Joko Widodo, the China-Indonesia Comprehensive Strategic Partnership has maintained sound and steady growth with deepening mutually beneficial cooperation in the political, economic, trade, security, tourist, cultural, education, science&technology and many other sectors. On the occasion of Indonesia’s 73rd Independence Day, on behalf of the Chinese Embassy in Indonesia, I wish Indonesia peace and prosperity. In the greetings to the Asian Games, Ambassador Xiao Qian said, from 18th August to 2nd September, Indonesia will host the 18th Asian Games. 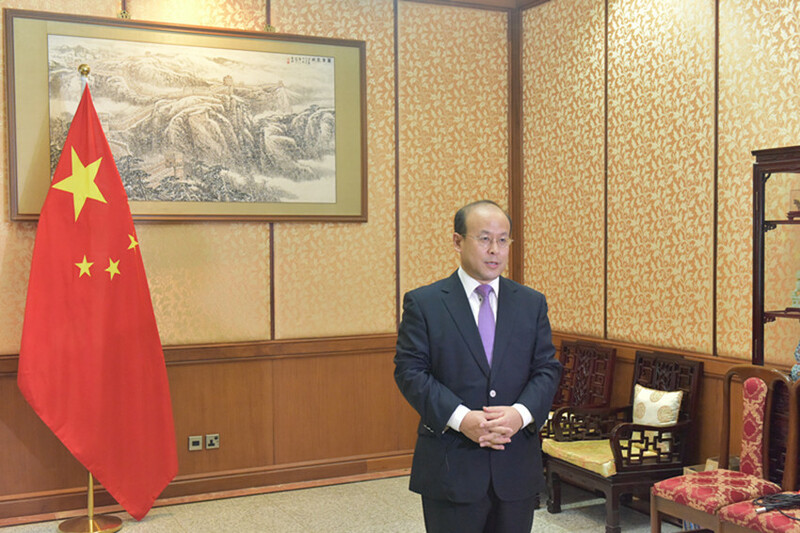 Chinese Vice Premier Ibu Sun Chunlan will attend the Opening Ceremony as the Special Envoy of Chinese President Xi Jinping. This is the first time Chinese President sends a Special Envoy to attend the Opening Ceremony of Asian Games, which demonstrates China’s firm support for Indonesia in hosting the Asian Games. China will also send a large delegation to compete in the Games. The Indonesian Government has dedicated a lot of efforts to welcoming the athletes and tourists from various countries. We have full confidence in Indonesia once again successfully hosting the Asian Games and we are sure this will be a remarkable sport event in Asia. On the occasion of the opening of the 18th Asian Games, on behalf of the Chinese Embassy in Indonesia, I wish the 2018 Jakarta-Palembang Asian Games a complete success.